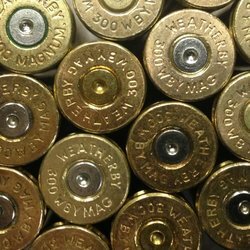 .300 MAGNUM WEATHERBY *Polished* Range Brass - 25 count. .40SW/10MM CAL (.401) 180gr H-HP 250 ct.
9MM CAL (.356) 124gr H-HP 250 ct.
Wow, ordered and three days later the brass showed up, all good quality and NO junk. Have ordered from others that took forever to receive and the brass wasn't nearly as good. 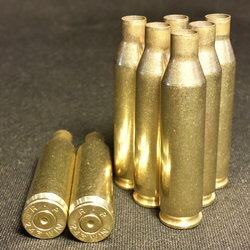 Ordered .308Win Commercial brass quantity 500 on 1/17 and is out for delivery today the 19th. 2 days from AZ to SC. Fantastic! Unlike some places where you order something, get a shipping label, and it sits in the shipping department for 24 to 48 hours before actually shipping, DiamondK is on the ball! My source for once fired brass. 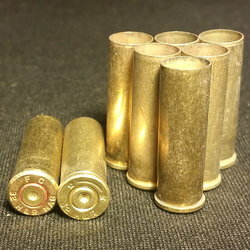 Just received my order of 1000+ cases of .223/5.56 brass. I didn't order the polish option but they gave me polished brass FREE of charge. That was a nice surprise. This isn't my first time ordering from DKB. I keep coming back because they always have the best prices on brass and excellent shipping times too. Special thanks Jeremiah Shadle - AZ Shipping Mrg. I ordered 1000 9mm casings from Diamond K. They got here less than 4 days later and with a free polish to boot. There were a few steel casings as is noted when you order, but I'm pretty confident that I have well over what was expected to cover the difference. I'll be only ordering from Diamond K as long as they'll have me. 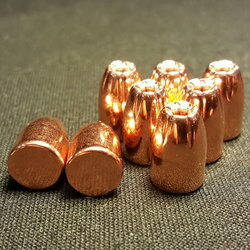 I have placed several orders for brass and projectiles with these folks since the first of the year. Great variety of products, best prices on the net and fast shipping. Diamond K is my go to source for reloading componentes. Just received my second order from Diamond K. Super fast shipping (at a very reasonable price - too)! 1000+ rounds of mixed 223/556 brass arrived. After sorting, the ratios listed in the listing are right on, and the brass is clean. (They must have washed it, because it's just that good!). Diamond K is at the top of my list for ordering breass for reloading - you can't go wrong here! I recieved my order a few days ago. I ordered 200 rounds of new brass. It was well over 200 rounds. Very happy with my purchase. I would like to see other delivery options that cost less however. That would make you my favorite brasss source.